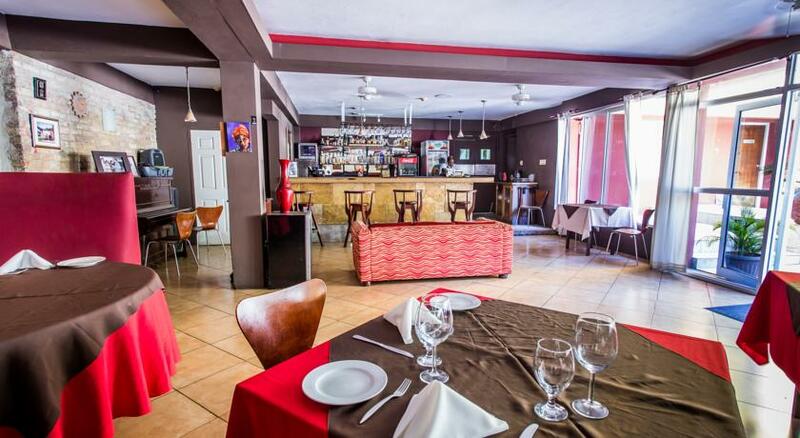 Finding a budget or mid range Montego Bay Hotel can be a bit of a struggle. 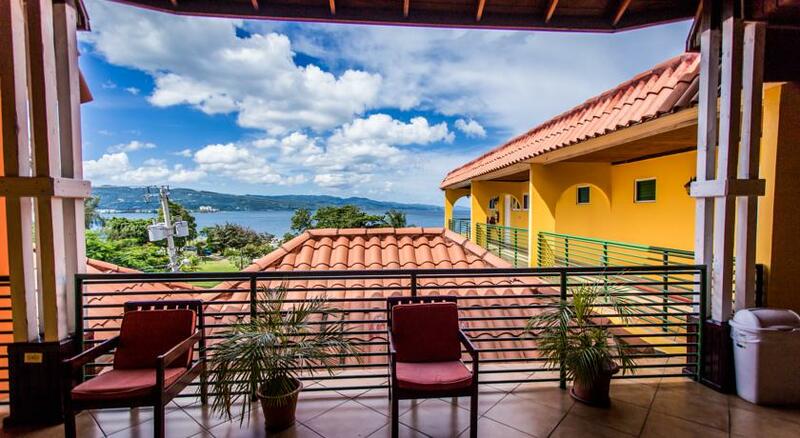 There are but only a handful of Non-All Inclusive hotels remaining in Montego Bay and Altamont West is one of them. 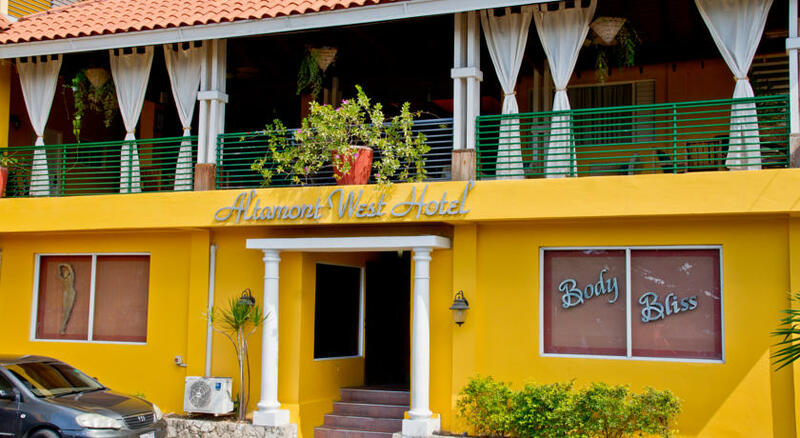 The Altamont West offers visitors comfortable, convenient and reasonably priced lodging on Montego Bay’s Hip Strip/ Gloucester Avenue. 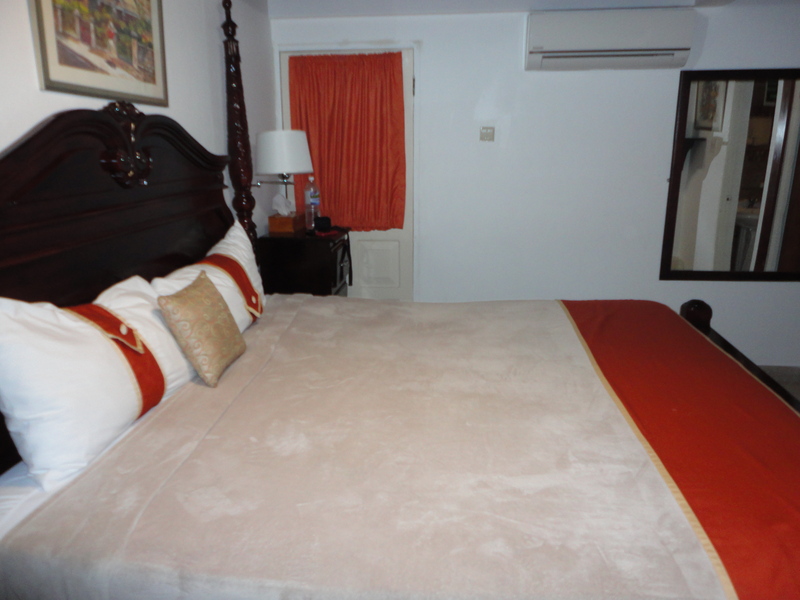 Choosing a Montego Bay hotel can be a bit of a task as there are so many wonderful options available. For this particular trip I was traveling a lot throughout the city so I needed a place that was centrally located as well as offered flexibility to move around. I loved the cheerful colors and the warmth of the decor. My favourite element was the outdoor area . 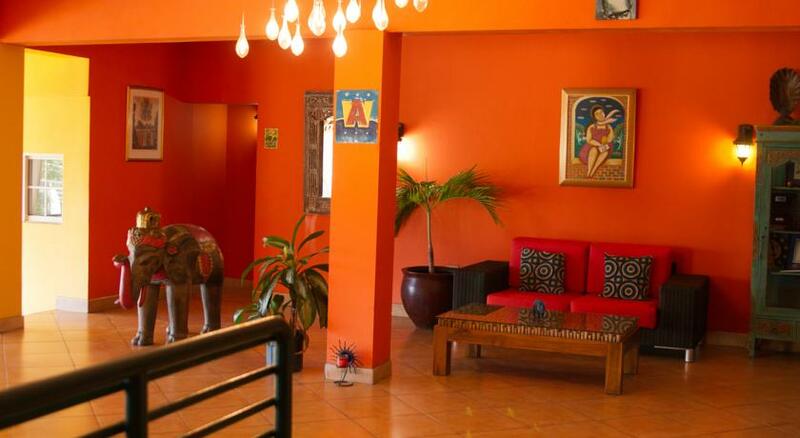 The artsy boutique hotel is within walking distance of the city’s nightlife. In less than five minutes you can get to hot spots like Margaritaville and Blue Beat Ultra Lounge or The Pelican which serves a great mix of local and international cuisines. Parking spots were a bit limited but I was able to walk to a lot of places including Doctor’s Cave Beach. My trip was short but I was able to squeeze in a night out plus some beach time the following morning. The rooms are small but still cozy and inviting . With a king sized bed , there wasn’t much space to move around but I got a good night’s rest , so no complaints here. Prices start at $118 double occupancy, during the current off season. The price includes a full breakfast, which is a welcomed change from the usual continental breakfast aka bread , meager servings of fruit and more bread. I thoroughly enjoyed my favorite Jamaican breakfast, Ackee & Saltfish with Johnny Cake/Fried Dumplings and a serving of ripe plantain. 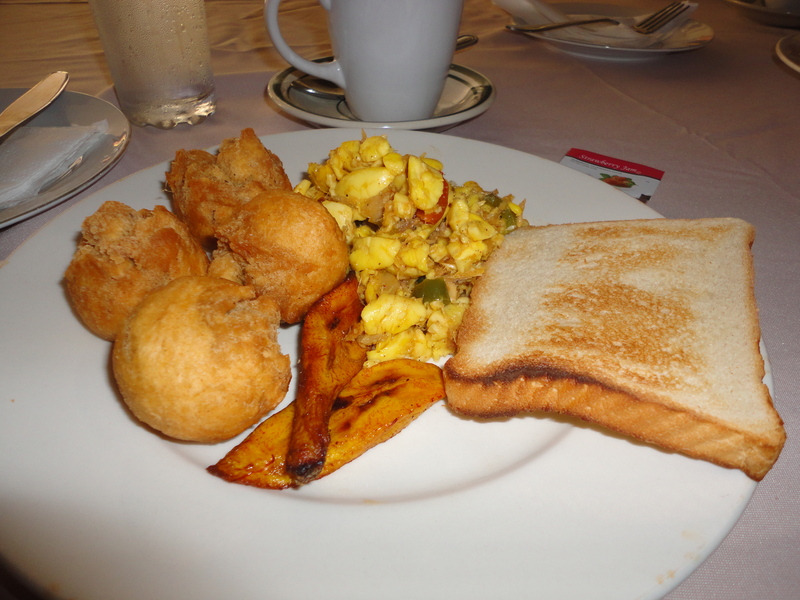 There was also the option of Eggs, Bacon & Toast if Ackee is not your thing. Breakfast was served with coffee or tea and juices in a tastefully decorated dining area that led to the outdoor deck and pool area. I was rather impressed with how well the hotel maximized their space. After seeing the size of the rooms , the elegant outdoor area was quite a lovely surprise. It had the feel of being in a friend’s backyard for a summer barbecue . 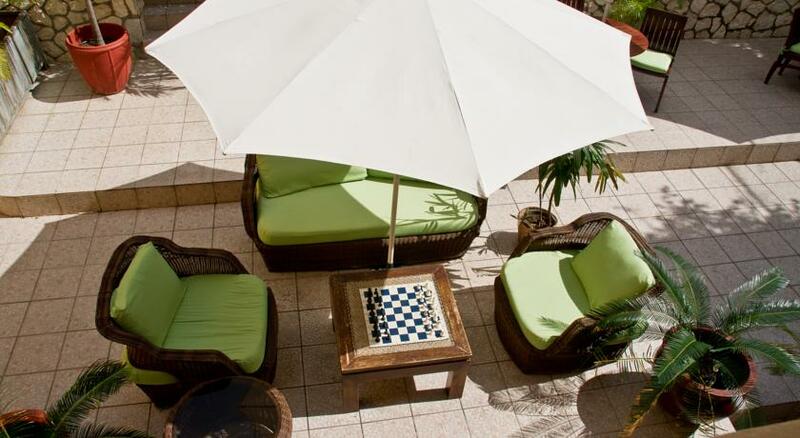 The ultimate chill spot to enjoy a book or board games with family and friends. Overall the Altamont West is a great choice for business or leisure travelers . Happy Travels.